Marvin, Gabe. George and Alex (not their real names, but naturally) are four typical high school seniors. That is, too smart for their own good! And so, intramurals week was drawing to a close, none of the four was involved in any of the remaining games and each was being eaten alive by the scourge of all teenagers: boredom. As is wont to happen when a group of bored teenagers come together, one is always bound to have a brainstorm; and that the brainstorm will be a good one is not always the case. Brilliant idea! Or so it seemed, at least, to the four long-lost descendants of Albert Einstein. This statement, of course, is what is otherwise known as sarcasm. I was laughing so hard hearing this story. It was a timely reminder of how much fun I once had working with high school kids. Some imbeciles were always bound to think up something silly like this! 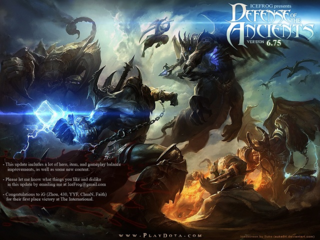 To the clueless, DotA is short for a multi-player computer game called Defense of Ancients. A highly addictive game, it has been the reason why so many young people have forgotten that there is a real world outside their LED screens. But there was a problem for the four Einsteins. School regulations stated that all students stayed on campus for the duration of each school day. There were security guards to keep out intruders; but they were also there to keep in the students. Of course, since all these seniors were descendants of Einstein, one was bound to come up with a second brilliant idea! Some school vans, for a fee, are allowed park to all day inside the campus; and the drivers of these vans stay in school waiting to take home their passengers at the end of each day. So, the four decided to look for one driver who would be willing to take them out of the campus in his van – for a fee, of course. A 20-peso outlay did not seem too bad considering the boredom of having to stare at the walls for the rest of the godforsaken day. Money talks, it is said; and, as it happened, it wasn’t too hard to find a willing driver, after all! The group would have been accosted by the security personnel had they been spotted; but, of course, descendants of Einstein that they were, they anticipated that and stayed down inside the van as it drove past the school’s main gate. So far so good, then! You would think that all four would have the good sense to find a computer shop far from school. But no; all four had the nerves of hardened criminals and chose a computer shop less than 50 meters from the school’s front gate. But it was intrams week; and, for sure, even the discipline officers were just waiting for it to come to an end. True enough, none did the rounds of the shops and the four high school seniors happily went about their business of shooting each other down playing the computer game. Brilliant idea, sneaking out using the DotA van! But was it really? Of course, none of the four Einsteins were aware of the Divine Law known to all discipline officers: among a group of high school students brazen enough to commit a disciplinary infraction, there is always a snitch! It may not always be wittingly, but there is always a snitch! “So how did you get found out?” I asked Gabe. I was expecting that they were spotted. But no, one of them lost his nerve or probably felt a pang of guilt – or so Gabe theorised – told their homeroom adviser who, in turn, told the discipline officer. And the rest, as an old cliché goes, has been history: suspension at school; grounded at home. And the moral of the story? It never pays to try to be too smart! The DotA Van… Laugh out loud!!! 1. DotA screenshot from Wikipedia. 2. 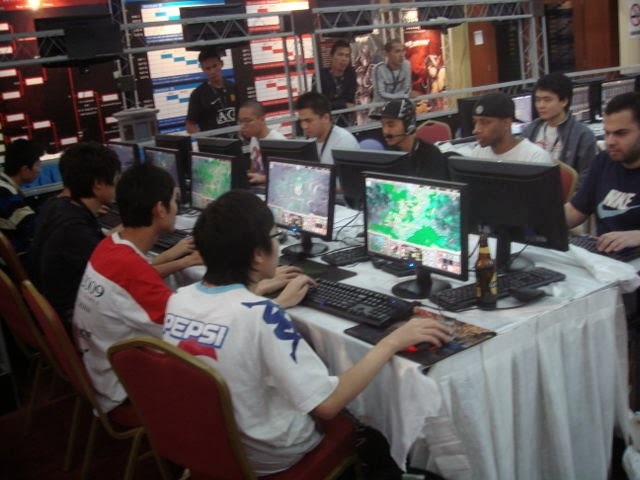 DotA players picture from http://www.lukeishandsome.com.